So again, 1 will run it, just not as long. Shoot me your address if you want and ill send you a 1 cell body. 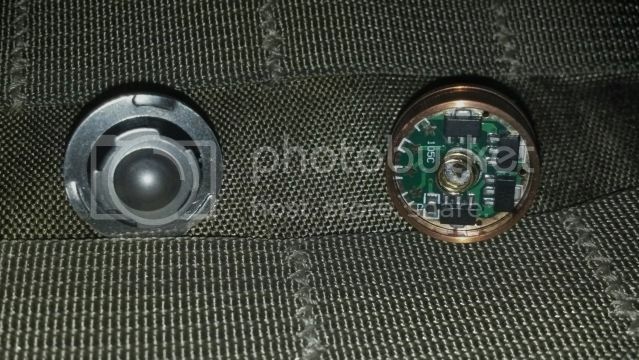 All you will have to do is put the tailcap and bezel on it and you can run just 1 cell. MikeSantor wrote: It would run amazing on 2 123's. That drop in is rated for 6 volts so you would be giving it full power with 2 primaries. Go for it man. The bulb says DO NOT USE 2xRCR123? I'm going to shoot dave (nailbender) an email. Makes me sense. If its rated for 6v there is no reason you shouldn't. Let me see what he has too say. I've got a SureFire Fury that I really like. Feel free to make new topics... its a whole subforum. Got a package in the mail last week from a few things that were 10 months in the making. First was a modest mod. This started life as a Maratac Cu AAA. 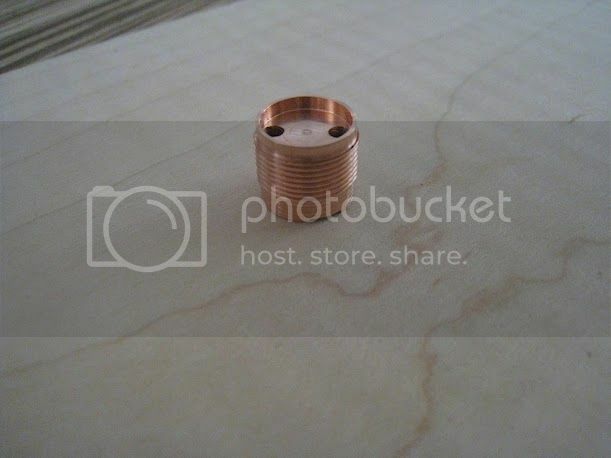 It had a crappy aluminum pill/heat sink so I had one made of Copper. Then it was upgraded to a Cree R5 XP-G and ripped a new 3 mode driver from an iTP eos3. 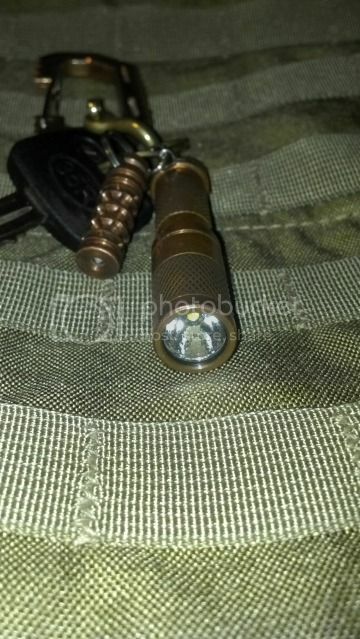 Installed it all and you have The PERFECT keychain light IMO. A flashlight thread .... . I have 5 or 6 (not including about 15 Thrunite Ti's since they keep having them for $44 for 5. 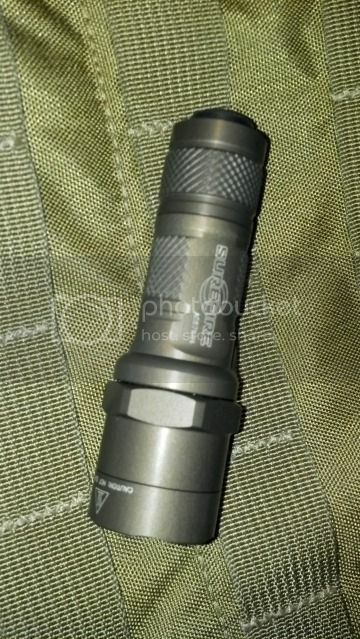 But I usually carry a black Nitecore IFE1. Maybe soon I can afford one of the new Xtar's. 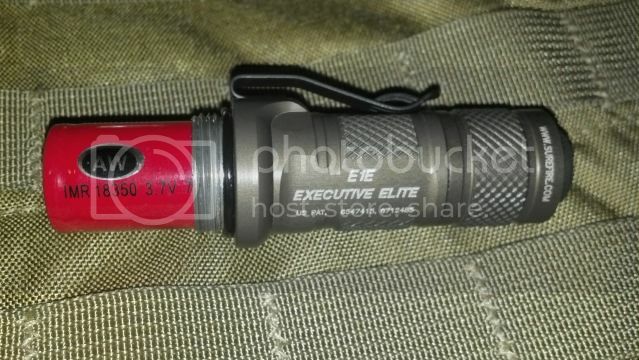 Y'all have me hooked...I'm thinking I want a Nitecore but I don't know if I want the EC1 or the EC2. Streamlight just announced their release of 600+ lumen WMLs that look like the same low-profile form factor as the original bodies. 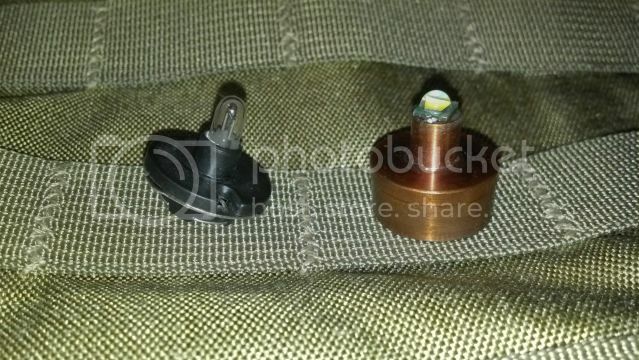 They might have just fixed my carbine light issue with not being able to find a commercial one that is under $300 and can hit 100-200yd targets with real illumination, not just dim light. Gotta get one to test it! I'm reviving a zombie thread, just to share this recent experience. Flashlights have changed a lot in the past few years. I like to have one EVERYWHERE. Costco made that easy with three packs of handy little lights. However, I'm still always in search of the perfect light. I live in Nevada, and last year it was big news that Tesla is building their $5 billion gigafactory here. It will be revolutionary in the world of batteries. So I went to a small private presentation by the Tesla top engineers to talk about the battery factory. They said that the first thing they did was spend millions researching the best battery technology. They had every intent to invent or design all new technology. Their research determined that the tech of the Panasonic 18650 can't be beat. So they partnered with Panasonic to move the entire production to this facility. Currently, 14 companies mine, manufacture, package and ship components of that battery to Japan, where the cells are assembled. They are moving all 14 companies under one roof. 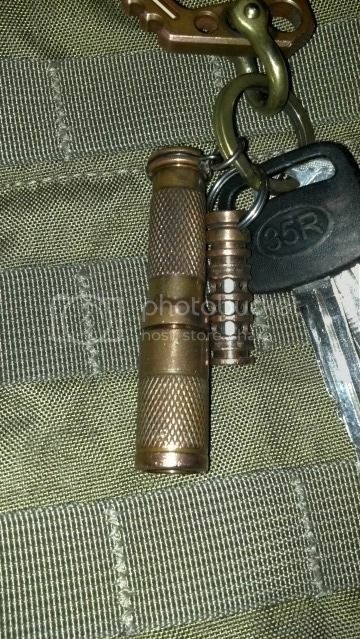 Lots of other good stuff, which I can share if you are interested, but the end result was my infatuation with the 18650. So I tore apart a battery pack out of a laptop I wasn't using anymore, and sure enough, found 8 of them inside. Then I went on the hunt for a flashlight to use them. I discovered that my observation of the output and the stated lumens of most lights have no relationship. Forget what they say, and just use them till you get what you want. I don't mind paying a lot for a good light, but I sure enjoy cheap. That said, I have found that an Ultrafire 502B from Ebay is awesome. They are less than $15 shipped. They often come with low output Ultrafire 18650 battery and charger. Find a real Panasonic and they are even better. I now have 6 laying around. The kids call them the "computer flashlights" because they use the batteries out of an old computer. Brightest light at scout camp for a whole week on one charge. I love it. 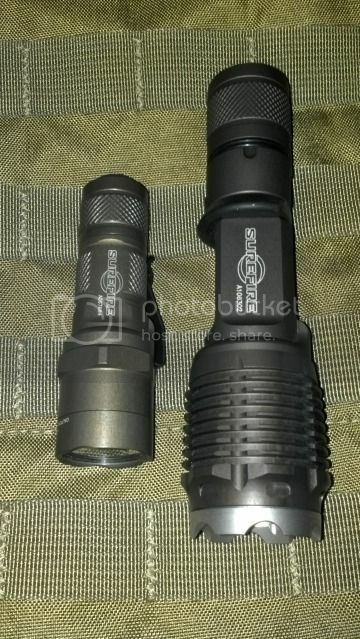 My big Thru-Nite uses 2 18650's and it turn night to day. My Solarforce sporting 2x18650 was a big deal at Natural Bridge Caverns near San Antonio. The guides were jealous. 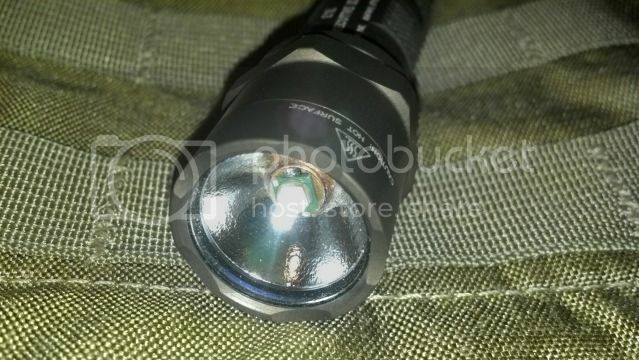 3498 lumens on high and there is an adapter to run it on a surefire m600. Those numbers are just ridiculous, Fully programmable too.